... for the shop. 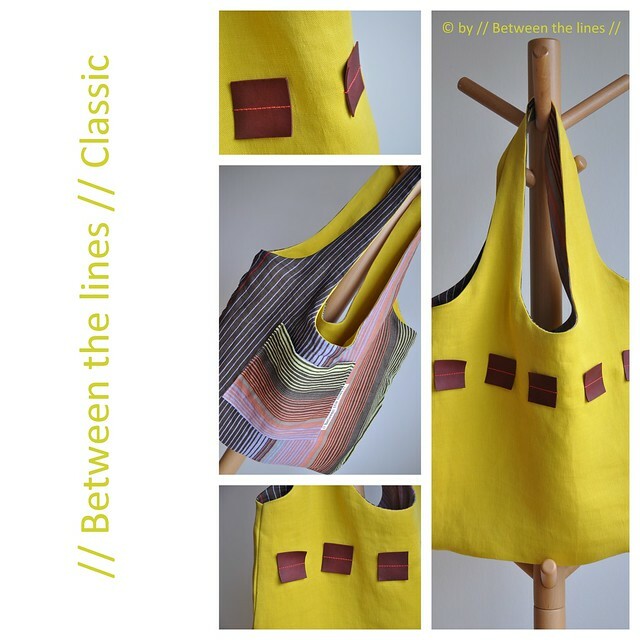 Yellow linen (a really nice shade of yellow - kind of mustard-like), burgundy red leather squares with contrasting stitch, and striped linen for the inside, including the little pocket. It will be up for sale in my Etsy shop later on this week!